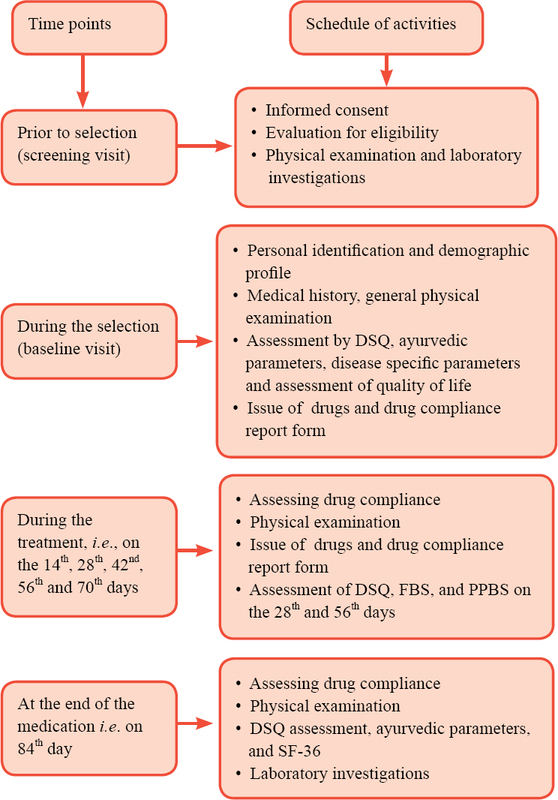 Background and objectives: The purpose of this study is to investigate the efficacy and safety of Mamajjaka Ghanavati on blood glucose level, symptoms, and quality of life in patients with type 2 diabetes mellitus. 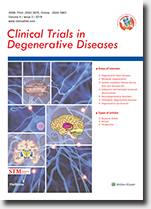 Subjects and methods: This prospective, multi-center, open-label, single-arm clinical study was performed at three peripheral institutes of the Central Council for Research in Ayurvedic Sciences, New Delhi during April 2016 to May 2017. A total of 177 eligible patients with type 2 diabetes mellitus were included and administered Mamajjaka Ghanavati two tablets (500 mg each) twice daily after food for 84 days. At the end of the treatment period (84th day), the changes in Diabetes Symptom Questionnaire (i.e., glycosylated hemoglobin and fasting and postprandial blood sugar levels) were analyzed. Quality of life was evaluated using 36-Item Short Form Health Survey (SF-36). Clinical safety of Mamajjaka Ghanavati was assessed by liver and renal function tests. This study was approved by the Medical Ethics Committee of Central Council for Research in Ayurvedic Sciences, New Delhi (approval number: CTRI Reg No Ref/2016/06/011468) on March 14, 2016. Results: Compared to baseline data, after 84 days of treatment with Mamajjaka Ghanavati, Diabetes Symptom Questionnaire score was significantly decreased, and SF-36 score was significantly increased (both P < 0.01). However, compared to baseline data, no significant differences in glycated hemoglobin, fasting and postprandial blood sugar levels as well as hepatic and renal parameters were observed after 84 days of treatment with Mamajjaka Ghanavati. Conclusion: Mamajjaka Ghanavati can greatly improve the quality of life and is safe in the treatment of type 2 diabetes mellitus. Actually, Mamajjaka Ghanavati does not change blood sugar level greatly. Trial registration: This study was registered in the Clinical Trial Registry of India (CTRI/2017/09/009887) on September 22, 2017. Background and objectives: Beraprost sodium is mainly adapted to peripheral chronic arterial occlusive disease. However, the efficacy and safety of beraprost sodium in patients with pulmonary hypertension (PH) due to left ventricular systolic dysfunction (PH-HFrEF) remain unknown. The main objective of this study is to ascertain the efficacy and safety of beraprost sodium in the treatment of PH-HFrEF. Subjects and methods: In this prospective, multi-center, randomized, controlled clinical trial, 462 consecutively recruited patients with PH-HFrEF are randomly assigned to receive routine treatment only or routine treatment in combination with oral administration of beraprost sodium 1 μg/kg for 1 year. All patients are followed up at 3, 6, 9 and 12 months after treatment. Systolic pulmonary artery pressure and left ventricular ejection fraction are assessed by echocardiography, and exercise tolerance is assessed by a 6-minute walk test. Cardiac events are also recorded. This trial was approved by the Medical Ethics Committee of the Second Affiliated Hospital of Soochow University (approval number: JD-LK-2017-021-02). Patient recruitment began in February 2018. Analysis of primary outcome measure will be completed in September 2021, and the study will be finished in September 2021. Outcome measures: Outcome measures are assessed at baseline and at 3, 6, 9 and 12 months after treatment. The primary outcome measure is the reduction rate of systolic pulmonary artery pressure. The secondary outcome measures are the incidence of major adverse cardiac events, left ventricular ejection fraction, and 6-minute walking distance. 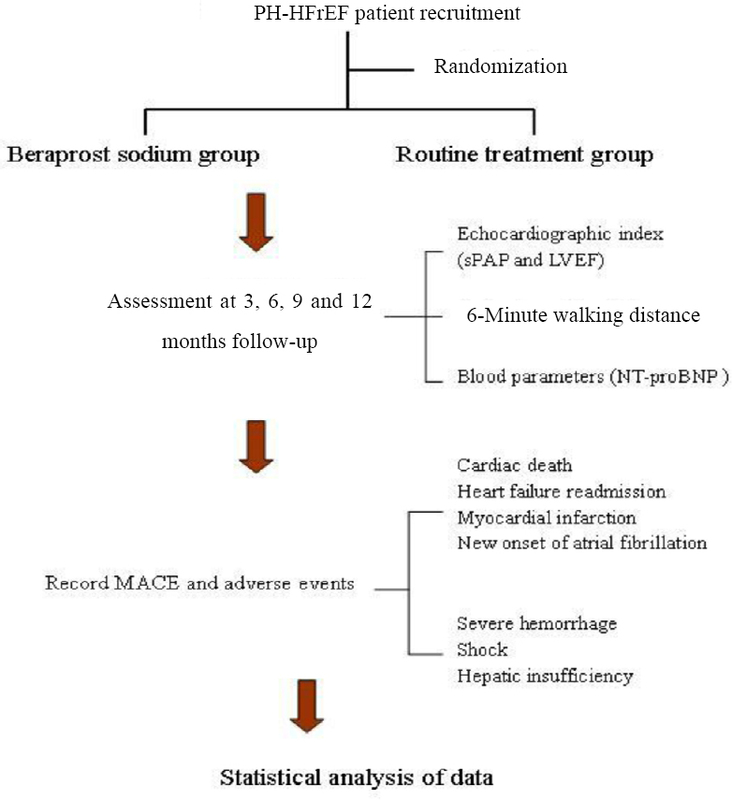 Discussion: Results of this study will provide evidence to validate whether application of beraprost sodium based on routine treatment can further reduce pulmonary artery pressure, improve cardiac function, reduce the incidence of heart events, and finally determine whether beraprost sodium is suitable for the treatment of PH-HFrEF. Trial registration: This trial was registered in the Chinese Clinical Trial Registry (registration number: ChiCTR-IPR-17012961) on October 12, 2017.